Now! Take a moment and a deep breath to visualize your lifestyle for the next 30 years! Awesome, just thinking about it! 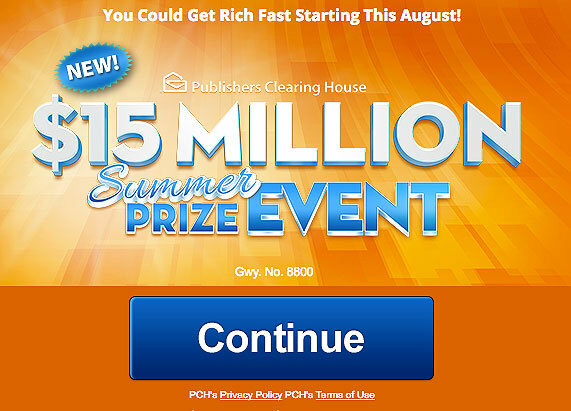 As a PCH Account Holder you could become the winner that Publishers Clearing House Company is looking for. PCH Act Now for a chance to win. $15,000,000.00 Superprize from Giveaway No. 8800 on August 31st, 2017. What most people would achieve with this king of money is amazing, some would buy a new car or buy a new house, invest to grow their assets, other will pay their debts like mortgage, student loan, credit cards or medical bills. American People who have a heart which is larger than life will take this opportunity to give some of their money to charitable causes that are dedicated to either, religion faith, education, health or the saving of lives. Whatever the winner will do with this amount of cash, one thing we know for sure is that, this will change is life forever. PCH $15 Million – Be on the lookout for daily special PCH Email Alert send by Deborah Holland, Vice-President Executive for Publishers Clearing House And say YES, I want to Win to that PCH Winner Selection List Email. Take action Now by visiting PCH Search and Win where you will get the info you need and the prize you want. Stay Alert for Special Certificate and Winning Number Notification. Remember as PCH states in their emails; Your chance could become forfeited if you neglect and don’t respond to those winning number notifications. So, claim now for a chance to win $15 Million SuperPrize – Giveaway No. 8800, or $1,000,000.00 SuperPrize – Giveaway No. 8035, or $100,000.00 prize – Giveaway No. 8186, or $25,000.00 prize – Giveaway No. 8184 or $10,000.00 from Giveaway No. 8187. Yes!! I claim now for a chance to win $15 Million Superprize giveaway No. 8800 or $ 1.000.000.00 Super-prize giveaway No. 8035 or $100.000.00 prize giveaway No.8186 or $ $25.000.00 prize giveaway No.8184 or $10.000.00 from giveaway No. 8187., I’m caressing the prize my dream begin to come true THANKS PCH. Yes Prize Patrol it’s me Rickey entering again to win on August 31th for Giveaway#8800; $15,000,000.00 for life. Thanks again PCH God Bless. Yes I want to win on August 31th. Here we are again, give me the prize, no more stories. Yes, I have 3 opportunities to win and on the three$5.000.00, I claim my entry for $15.000.000.00 Superprize of a Lifetime during this Special Early Look Prize Event from PCH Gwy 8800 on August 31st THANKS PCH. I really want to win this $15 million prize from PCH. I’ve never wanted to many things in life,just knew I could not have them. This may not happen for me to win, but I can say I sure tried very hard to be the winner. I have put a lot of time in searching, playing these games and tried to put my best effort into winning. Life is not easy and I know I don’t always get what I want, but I will keep going and going to be the winner. If I win the big one, $15 Million, or any big amount, it sure would be a nice BIRTHDAY PRESENT. Also take care of all my financial worries and I could live the life I should be living. I will be home all day to see if it’s for me to be a BIG WINNER and if so celebrate. PCH, YES YOU KNOW I WANT TO WIN THE GWY8800 $15 MILLION SUMMER SUPER PRIZE LIFE TIME PRIZE ON AUG 31 2017. I ACCEPT THE PCH EMAIL ALERT SENT BY DEBROAH HOLLAND,VICE -PRESIDENT EXECUTIVEFOR PUBLISHER CLEARING HOUSE. I WANT TO SAY YES IN THIS EMAIL LIST. I WAS VERY DISAPOINTED THAT I DIDNT SEE YOU TEAM . I WAS LOOKING FORWARD TO DONATING TO OUR CHURCH ,ST JUDE,PAYING MY DAUGHTERS EDUCATION SEENCESHE HAS FIBROMILGIA AND TEACHES IN HIGH SCHOOL SO SHE COLUD BECOME A COUNCLER. TO HELP THE CHILDERN THAT HAVE PROBLEMS. LYING TO MY DAUGHTER WOULD HAVE BEEN VERY HARD. SO I AM GLAD I DIDN’T TELL HER ABOUT ME GOING TO POSSIABLE WIN.I DONT FILL RIGHT ABOUT TELLING WHAT I AM GOING TO DO WITH ALL THE MONEY OR ALL THE HELP I DO TO HELP OTHERS. I HOPE YOU UNDERSTAND IT SEEMS LIKE I A BRAGING. I DON’T WANT ANYONE TO THINK THAT WAY OF ME. IT WOUD BE A BLESSING TO GET THAT MUCH MONEY. IT SEEM IMPOSSIABE FOR ME TO WIN THAT MUCH MONEY I RECIEVED THE BROWN ENVYLOP THAT HAD MY WINNING #. SO YOU HALF WAY STATED W-29 ENDING IN # 13 WELLTHANK YOU ANY WAY.PUBLISHER CLEARING HOUSE. HAVE A GREAT DAY. gwy 8800 on 8/31 and i hope to win so my dream can come true so my husband can retired. It would just be wonderful to WIN $15,000,000.00 come August 31st. Hope to see PCH at my home, keeping my fingers crossed. I would love to win the Summer prize event of $15,000,000.00. I would do so many good things with this money. ELIGIBLE TO WIN A $15,000,000,00 SUPERPRIZE FROM PCH GWY,NO,8800 ON AUGUST 31ST. I claim entry for the prize of $15,000,000.00 Summer prize event. PRIZE OF A LIFETIME ON AUG,31ST. I would love to win it all. I would buy a house and invest in my family. Also might take a nice trip. I have never owned a passport. I am a 60 year old man , been married to the most amazing women for 39 years. She has raised 3 sets of kids not just ours but our families children, she homeschools , we had never been able to go on vacations because I am always at work driving truck . She never even had a honeymoon I would so love to remarry her , an have a honerynoon for her. Even having many surgeries sh keeps everything in check she is the rock that holds our foundation together. I could really use this to give her more then she deserves. I need win but august 31 I no live in the address you have you need call me first pls. Thanks PCH FAMILY AND GOD BLESSING. Remenber call me first I no idea where place stay that day.I send my # e mail. THIS IS MY ENTRY TO WIN PCH $15,000,000.00 Superprize from Giveaway No. 8800 on August 31st, 2017. MY GOAL IS TO WIN SO I CAN BUY A HOME FOR MY TWO DAUGHTERS AND FOR MY SON AND GRANDSONS. I ALSO WANTO TO MOVE FROM MY RENTAL APARTMENT AND BUY A SMALL BUT CONFORTABLE HOME NEAR A BIG LAKE SO I CAN GO FISHING EVERY DAY. WHEN I AM PRONOUNCED THE WINNER, I WILL GIVE ST. JUDES A MONTHLY DONATION FOR LIFE, SO THEY CAN CONTINUE SAVING YOUNG CHILDREN ALL OVER THE WORLD. I HOPE TO BE THE WINNER THIS TIME TO GREET DANIELLE AND THE PCH PATROL AT MY DOOR. THANK YOU FOR THE OPPORTUNITY. Checking in once again for the $15 Million superprize from PCH on August 31st, 2017 GWY #8800. Continuous searching and checking in because I seriously want to win. Hopefully this will be my lucky chance to win. friends would not be this was going to happen. They call me crazy. So I am hoping and praying that I can rub this in this face “if I do win” “if I don’t win then they will say I told you so. YES, I WANT TO WIN THE $15MILLIONS SUPERPRIZE EVENT, SWEEPSTAKE GIVEAWAY #8800 ON AUGUST 31, 2017. CONSIDER THIS MY ENTRY TO WIN IT ALL ON THAT MEMOROUS DAY. I AM EXPECTING THE PCH PATROL TO KNOCK ON MY DOOR AND GIVE THE GREAT SURPRIZE OF MY LIFE. I would like to win the $15,000,000.00 prize, I can help my family,my Church and give to the Cancer Associates in my Mother name. It will be a Blessing. I made my comments this morning. Please read it. I said the way my feeligs are abot the whole event this summer. Clint Henderson July 13 2017 if i could win 15 million summer prize event there is a lot i could but with the money. Yes, I want to win big, so I’ve searched GWY# 8800 to win a prize of a lifetime, the summer $15,000,000.00 with pch. I’ve searched GWY# 8800 to win $15,000,000.00, the summer prize of a lifetime, and yes, I want to be the big winner. Yes I would like to win $15,000,000.00 Summer Prize event. Thank You PCH! I need the money to help a lot of people in the community. Children’s Hospital and of course my family. Yes I would love to be the winner of the $15,000,000.00 Summer Prize event #8800. Thank You PCH! Please enter my entry to win $15,000,000.00 cash. #8800 Thank you! Yes It’s Time to Celebrate I Am Praying to Be The Next Winner. Really, to say that My desire is to have that huge quantity of money is obvious, What would I do with it? probably it would give it to others, I do have all my needs covered now, but, there are so many people needed,that at this very moment my thoughts are that my helping hand would be there. I am definitely looking forward to August 31st for my chance to win the $15,000,000 from giveaway no. 8800. Wow, what a thrill that would be!! Here I am again. Include me in giveaway 15,000,000. PCH PCH PCH. Yes I would love to win it all. I could buy a house and invest in my family and maybe take a nice trip. I want to win PCH 15 million gwy #8800 on August 31st so that can have a stress free life and help my parents and my sister and her family. I’d love to own my own home and be able to live there in peace and with my dog Sewati. Please pick me. PCH SEARCH & WIN PRIZE OF A LIFETIME $15,000,000.00, 8/31ST ENTER. I WOULD LOVE TO WIN THE PRIZE OF A LIFETIME AND WIND UP ON THE WINNERS SELECTION LIST. Winning this amount would be a Godsend for us. We barely make it through the month and there are so many people we love who are in need. With this amount of money we could also begin to do more for the charities we love. Although we have worked our entire lives, I am starting a new business online to help with expenses and to save for a car we desperately need, and for our grandson whose car is even older than ours. My husband is a 100% disabled veteran and he would have less worries about money and expenses. Thank you PCH. Would be ecstatic if I won the$15 MILLION #8800. Just to let you know that I appreciate the chance to Win the $15 MILLION #8800. I like to claim $15,000,000.00 PCH GWY 8800 on August 31st. This would be far more than I ever dreamed about. I would be so thankful and grateful to be a winner from Pch that reaches out to give people a chance to win. Thanks for the chance to play and win. claiming to win The Summer Prize event on August 31st PCH GWy 8800 $15000,000.00 Prize of Lifetime. $15,000,000.00 would be just the ticket I need. I could stay at home and be with my mom, who is ill. Please accept my entry to win $15.000.000.00 Superprize of a Lifetime during this Special Early Look Prize Event from PCH Giveaway 8800 PLUS bonus $50.000.00 cash prize from PCH Gwy 8186 on August 31st. THANKS PCH. I’ve searched GWY# 8800, for the summer prize of a lifetime $15,000,000.00, and yes, I want to win big. ENTRY TO WIN THE $15 MILLION ON AUGUST 31ST. Clint henderson july 13 2017 lt would be nice to win 15 million on August 31. 15,000,000 is a great retirement. I’ve been working two jobs eleven years. Include me in giveaway #8800. PCH PCH PCH. I except prize number for $15,000,000.00 ! PCH Please Give Me a Chance to Win 15 million in August. I would Love The Chance to Win the Big Summer Event 15 million August is My Wedding Anniversary Month, it would Be Great If We Won. Please enter my entry to win $15,000,000.00. Thank you! It would be a huge blessing for me and my kids. I would be able to do so much for them. It would be great to not have to say- in that tone kids just like hearing from parents- how much is it? It would be FANTASTIC to WIN $15,000,00.00 come August 31st. So please don’t let me down PCH so let this be my lucky year. Thanking you all in advance. I want to enter to win the 15 million dollar giveaway no 8800 this aug 2017. I can use the 15 million to help other people in my city. Help build a development area with a Bakery Shop, Print Shop, Photo Shop & A Banquet Hall for children’s Birthday Parties & a Parking Lot for parking. PCH this 15 million will help me build businesses for the Love of my people in this city,they have awesome talent but no buildings to begin their business. This will help me Bless the people who want a business but work hard everyday pay check to pay check but support their families & only can afford to pay their own bills & dream of having a business but can’t afford to build their business. PCH, Yes!!! I want to win $15 millions in August!!!!! of mind because they have their whole lives ahead of them. This is my way of saying “THANK YOU” and my love!! Get Rich Fast – You could win this PCH $15 Million Superprize! As a lucky winner of this PCH Gwy. No. 8800, you will receive $225,000.00 for 29 years and a final lump sum payout payment of $8,475,000.00 in the 30th year. Drawing Winner Announcement on August 31, 2017 on NBC Television Channel. $15,000,000.00 Prize of a Lifetime! Could you imagine all the things you will be able to buy? This amount of money ($15,000,000.00 SuperPrize) in your bank account could give you the life of your dream! Take a moment and a deep breath to visualize your lifestyle for the next 30 years! Awesome, just thinking about it! I want to WIN the $ 15 Million PRIZE #8800– IT would be a a worry off MY mind and a wonderful thing. Thanks for the opportunity. Maureen. Yes I would love to win $15,000,000.00 Summer Prize. Thank You PCH! why is my response still awaiting moderation since 7.10.2017!!! How do I accept prize no notification? I would really enjoy being a Publishers Clearing House Prize Winner!! Thanks Again for a chance to win $15 Million Summer Prize Event! What a great peace of mind to be able to pay off your mortgage, help your family,church and give to charities that I have not been able to help in the last 3 or 4 yrs. Yes, I want to Win 15,000,000.00 Summer Prize Event! I’ve search GWY#8800 to win $15,000,000.00 prize of a lifetime with pch, and I WANT TO WIN. I WANT TO WIN $15,000,000.00 PRIZE FROM PCH GWY 8800 FOR MYSEF,FAMILY AND CHURCH ON august 31ST. . I PRAY MY DREAMS COME TRUE. Yes I want my special look entry into the pch gwy 8800 for 15 mil. Hope to see you in seattle. I wish that I could win PCH 15 million gwy #8800 on August 31st it would be so nice to live life without the stress that hovers over you when you are poor and not because I didn’t work hard and all my life but because a car accident disabled me and now I can’t work. I do what I have to do but it’s not easy. I’m not saying I deserve it more than others but I just like others would like to able to live life wither no stress or worries. So please consider my entry. I hope win $15,000,000.00 or $50,000.00before july 31 is my last day in this address. Thanks PCH FAMILY AND GOD BLESSING. Thanks again for bring win $ before july31. 2002. We are big fans. Please consider us for this superprize. YES! I would love to win the $15,000,000.00 on August 31st! PCH Giveaway No. : 8800. I sure hope my address is your PCH Prize Patrol Elite Team Final Destination on August 31st! Clint henderson july 11 2017 i claim my entry for to win 15 million prize of lifetime. Really! How does one win at this game? I am 73 years old, been entering these sweeps events ever since then! Have bought products I didn’t want, need or even afford but the only thing I ever receive from PCH is an overdue bill! I swear every time this is the last time but here I am again! What the heck! I am ready for this big check. So PCH , I. AM READY TO WIN… I would be able to get all these medical bills paid and hopefully find a dr who can help find a diagnosis for me. I’d help my kids who’ve been paying everything for me for over the last two years since I’ve been this way. I pray daily and keep my positive mind intact. Thank you for the opportunity to go for that $15,000,000.00 on 8/31/17. Gwy #8800 and any other special prizes I might win. You PCH help many and that’s my goal. To get me and family taken care of and then donate to four charities I’ve picked out that I truly need it. I WANT TO CLAIM SUPER PRIZE NUMBER,AS WINNER OF $15M,GWY 8800,AUGUST 31/2017,AT EARLY PRIZE EVENT LOOK,I DECLARE TO ACCEPT FUND TO BE DEPOSIDED IN THE KAHN ACCOUNT,#02300953839,AUGUST 31/2017,AT EARLY PRIZE EVENT LOOK,I WANT TO WIN.KAHN. Search now @ PCHFrontPage to win $15 MILLION Summer Prize Event GVWY. No.8800 on 8/31st/2017! I’v searched PCHFrontpage GWY# 8800 to win $15,000,000.00 prize of a lifetime and Yes, I want to WIN. PCH please pick me I really need this in my life at this point of my life. I want to have a home and be . Able to help my family. I want to win PCH 15 million gwy #8800 . Yes I would love to win it all. I would buy a house and invest in my family. Maybe take a nice trip. I have never owned a passport. WIN ” PLEASE!MAKE MY DREAMS COME TRUE”. Who wouldn’t want to win this money. I could do so much good with this money. I hope my number comes up to win. 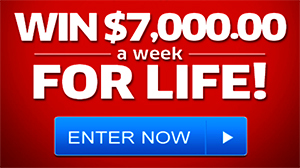 I have enter many times, so willing to enter again to win this $15 million prize of Life time PCH GWY 8800. Don’t to bother you with so entries, but this keeps coming up and I need to supply information to be a winner. Being retired and a widow my family and I could really use the $15 MILLION DOLLORS ON August 31st. Keeping my fingers crossed that I will see PCH on Aug.31st. I would like to claim the winner of “Prize of Life Time PCH GWY 8800 for $15 million. It’s like a Beauty Contest so many entries wanting to win this great fortune and we know only 1 can win. I am hoping that I will be PCH choice to be blessed with this great and wonderful gift of $15 million. If I don’t win then I know it was God’s will that I should not be the winner for this super prize of a Life time. This will be my 7th entry to win $15 millons PCH GWY 8800. So please don’t be upset with so many entries to win. I do want to win this $15 millions. It would so wonderful to have some extra money to do things I am not able to take care of now. Pch, I would like to win pch gwy no. 8800 $15000000.00, Thank you pch. i would like to be the next winner of S15.000.000.00 Summer Prize Event during this Special Early Look Prize Event from PCH 8800 on August 31st. My dream wiill come TRUE when I see to PRIZE PATROL in front to my door with a big check, Thanks PCH for the opportunity to win . Yes , I would like to win pch gwy #8800, $15000000.00 ,Thank you pch. I want to win $15,000,000.00 Summer Prize Event! PCG Gwy.No.8800. Today 08July2017 RG. Yes I would like to be the winner of the $15,000,000.00 for a life time.thank You PCH! This is the chance of a lifetime to be on a PCH Summer giveaway list no 8800 to possibly WIN 15,000,000.00!!!! I have worked for over 40 years at the same Co & I am ready to retire in a couple of years. This would be a DREAm CoME TrUE to not have to struggle from pay check to paycheck…. Winning $15.000,000.00 would be a winning prize of a lifetime for me prisicella fayne i truely want to win it all with pch i am a valueable contestants i play the game but now it my true to progress. I can can do great things towards the building of God’s kingdom! PCH I would love to win drawing 8800 the summer lifetime giveaway on August 31, 2017. This would help my children and I get a home and live happily ever after. Thank you PCH for this chance! PCH Search Now ‘PrizeFundsTransfer’ (pending Winner Selection)@ PCHFrontpage with Giveaway #8800 to enter $15 MILLION Dollars Prize of Lifetime And I could win on August 31st, 2017! I would love to win PCH Prize of Life Time $15,000,000.00 PCH Gwy 8800. It truly would be blessing to win and I would truly be grateful to PCH for the opportunity to be the winner. I am never going to give up! I want to Win the $25 million for a Lifetime! Claiming gwy#8800 and PC code #438! I love PCH! I am claiming a change to win $15 million GWY# 8800 on August 31st 2017. I really want to win.